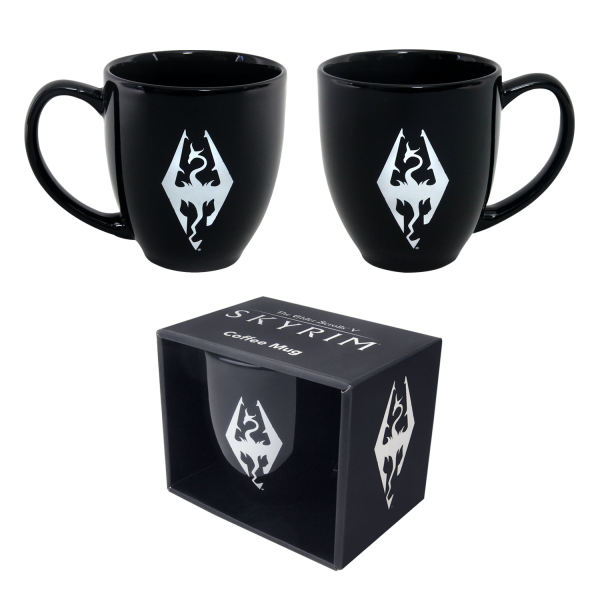 It does not always have to be mead and beer - This high-quality oversize mug with the dragon symbol from "The Elder Scrolls V: Skyrim" is perfect for cold and hot drinks. Made of ceramic, dishwasher and microwave safe. Manufactured by Gaya Entertainment.